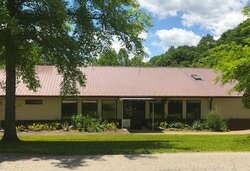 Community Care of Big Otter is conveniently located just off Exit 40 of Interstate 79. This site offers an array of medical services including comprehensive primary care and chronic disease management for the entire family. This location also has several healthcare programs to assist you with your medical needs. For acute non-life-threatening injuries and illnesses, Community Care of Clay offers extended hours on weekday evenings and is open Saturday and Sunday. CCWV can also meet your pharmacy needs at Primary Care Pharmacy. The pharmacy participates in the 340B discount drug program for CCWV patients.